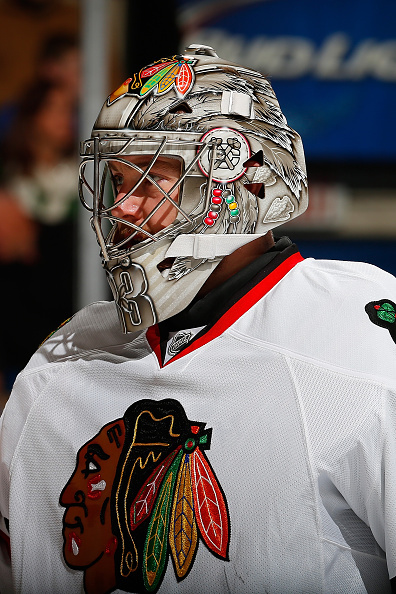 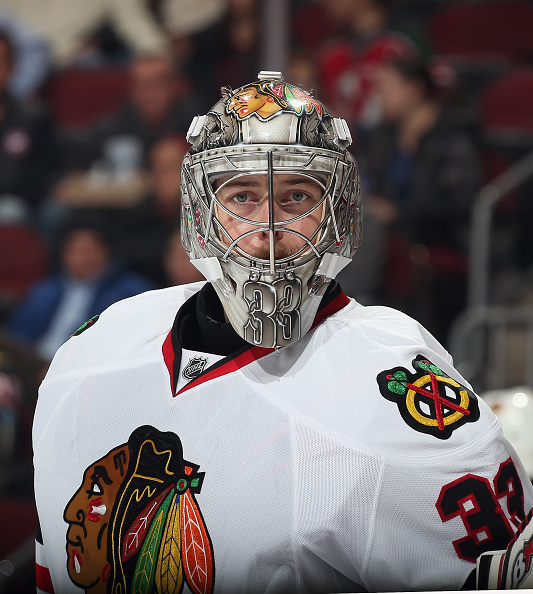 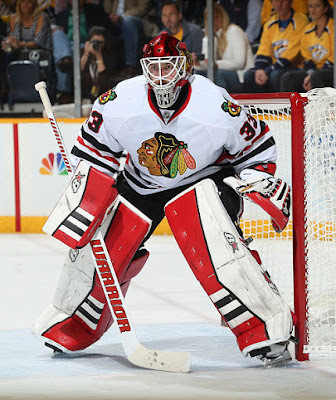 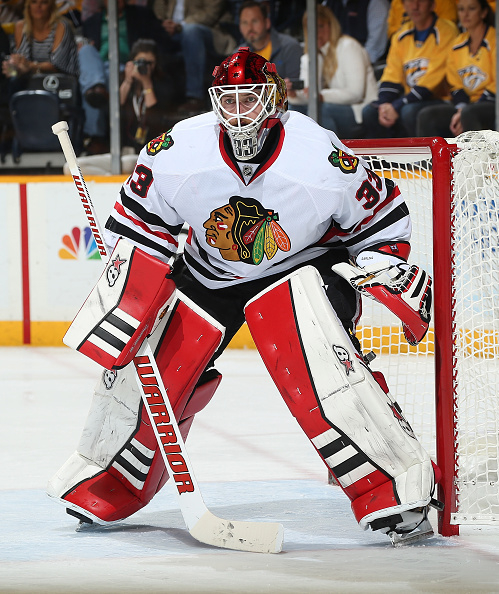 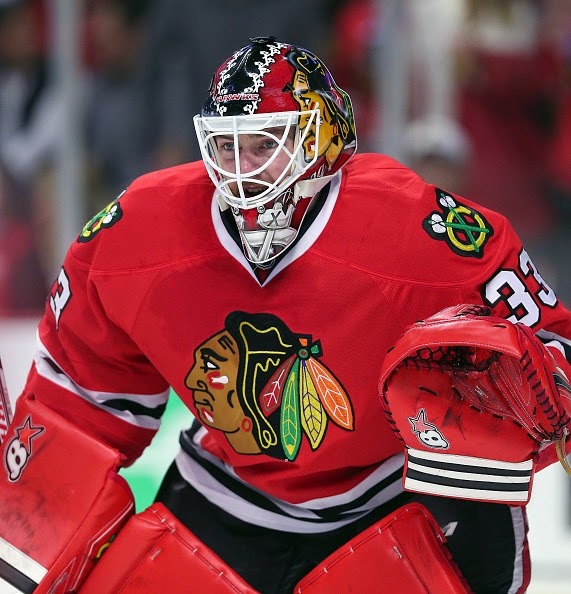 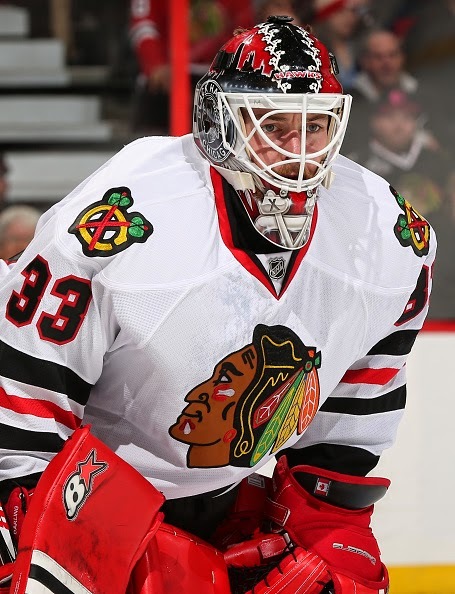 Darling is the 3rd goalie used by Chicago due to an injury to Crawford in October. 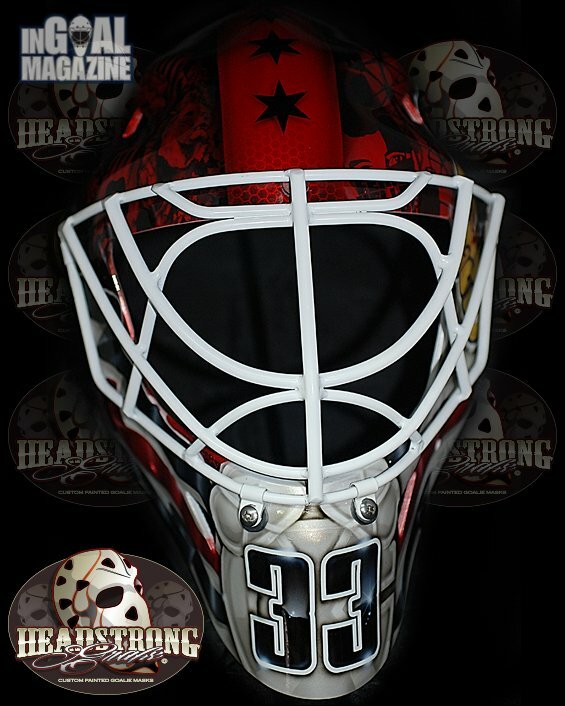 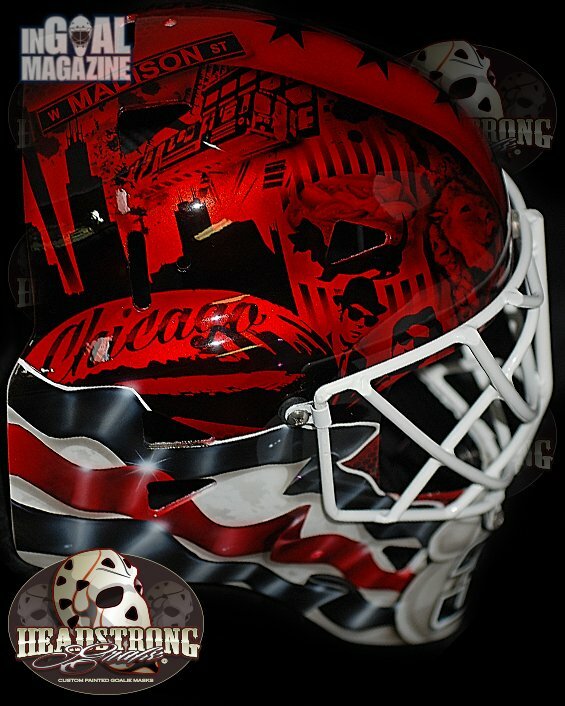 This mask is the one he debuted for the playoffs. 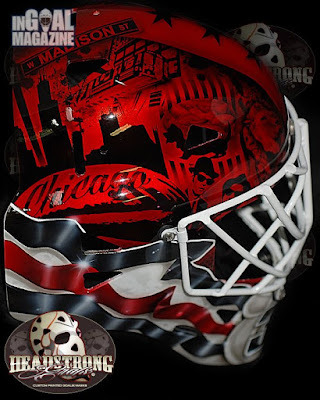 The right side of the Warwick mask includes the Millennium Park “Bean,” the Willis Tower (which Livery notes is still knows as the Sears Tower to everyone from the city), the W. Madison Street sign, a Portillo’s Hot Dog, and of course the Blues Brothers from the movie of the same name. 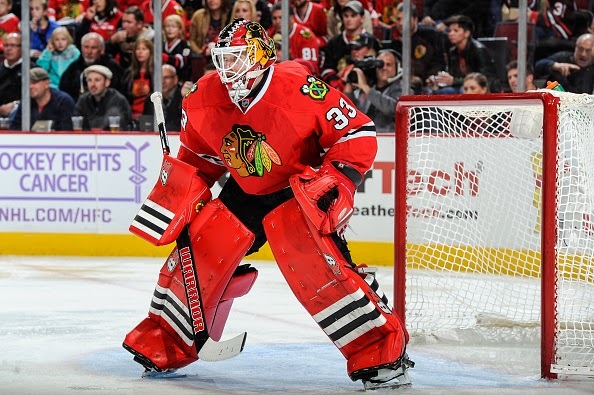 But he seemed to wear this one the majority of the time. It seems he had 4 different sets of pads but I'm not going to post them all. 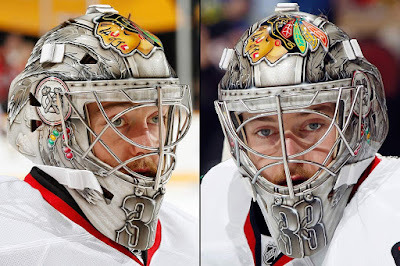 These were the last he wore. 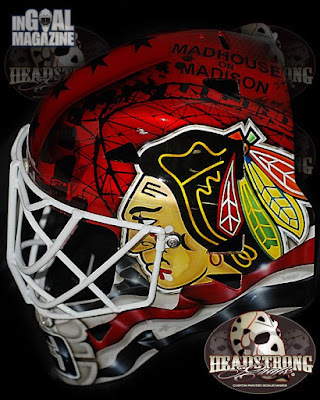 Here was one other set of pads. 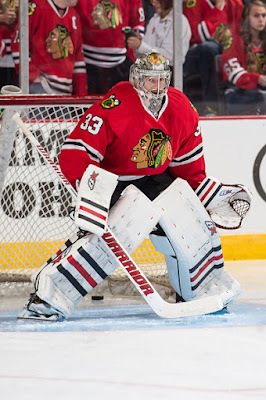 This was the gear he started the season with.